Spacious updated home in the coveted and convenient Hiwan Country Club location. With ample room for everyone to live and work, this home is ideal for large or multi-generational families. 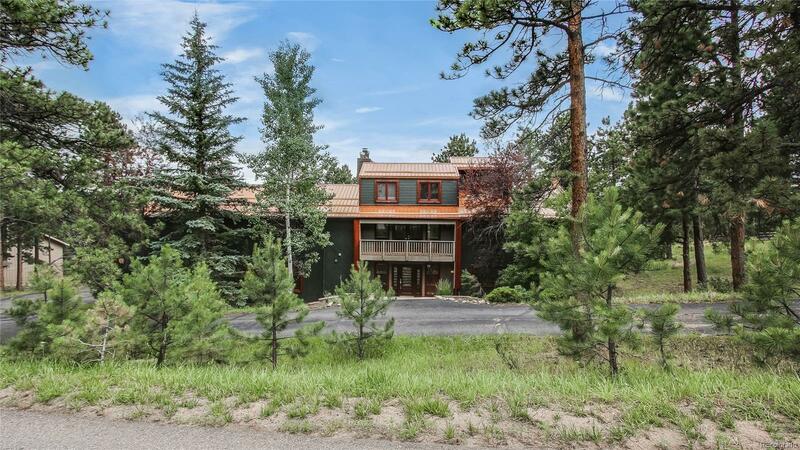 Gently nestled on a serene lot in one of the best locations in North Evergreen, youâll love the gorgeous bathrooms, a huge kitchen with island and multiple bedroom, office, living areas and many decks including private bedroom and star gazing decks, outdoor entertaining areas and a worry free metal roof. While there is ample space, several fireplaces make it cozy. Exterior caulking and painting is needed and has been arranged but wonât start until September. Seller can either discount the price or pay in advance for the painting if closing earlier. Marketing photos are from when the house was staged in the past.